Note: Pease be carefull with this thing, as to calculate number of pages Acumatica needs to do database select twice – First time with grouping to get total number of records, second time to get specific rows to display. If you have a lot of data on the database select or select execution plan is complicated, than pager may significantly affect performance. PagerVisible=”Bottom” – important to define where pager should be visible. It can be None, Top, Bottom. This setting can be configured in the customization UI layout editor. PagerSettings Mode=”NumericCompact” – enables pager with page numbering. 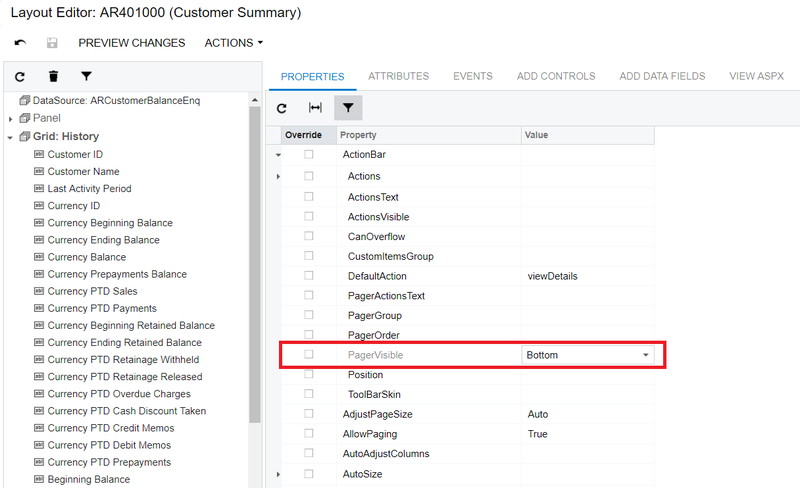 This setting is not available in the Acumatica customization layout editor. The quite critical problem here is that I haven’t found any away to configure Pager Settings thought the customization. Even Edit ASPX function has rolled back my changes. So I had to edit the page directly to enable this feature. Counting this, I recommend to use this approach only for pages that you create by your own. If you want to customize the standard Acumatica page you may have issues with upgrades later. Edit the page in Visual Studio (or any other editor) to apply changes and save the page. Go to Acumatica Customization Browser and open Files section on the left panel. Click “Detect Modified Files”. 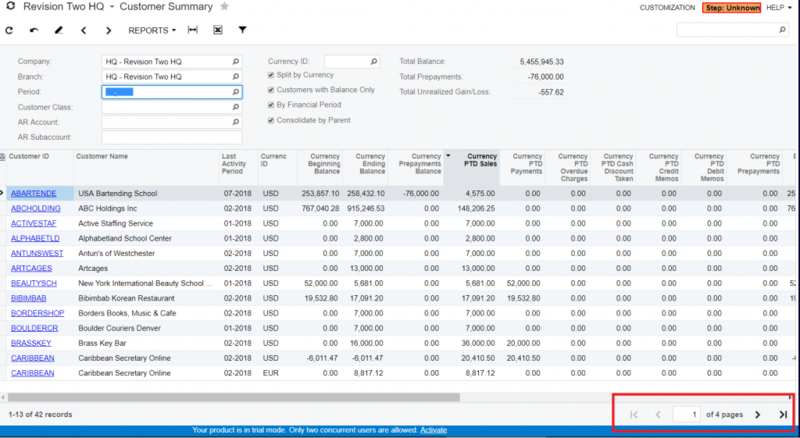 Your changes in the page will be automatically identified by Acumatica and than new page version will be uploaded to the customization project. Publish customization project to apply changes.